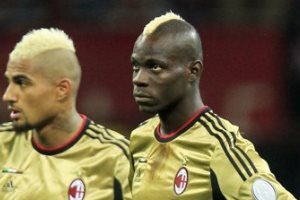 A highly controversial 0-0 draw between Milan and Roma was temporarily suspended due to racist abuse from visiting supporters. Sulley Muntari was sent off for manhandling a referee and Francesco Totti was dismissed for a nasty elbow in injury time. However during the second half, the match was briefly suspended after racist abuse was heard from the Roma fans inside the stadium. The Tuscan official used new league rules to halt play while a stadium announcement was issued to a section of Roma fans, who were allegedly directing abuse at several Milan players.